When you are trying to reach your ideal client, SEO marketing is going to be a major player – especially when you practice white hat SEO techniques. What does that mean? Learn more about about white hat SEO here! Have you seen a dip in your website traffic recently? Are you new to SEO or working with an agency and seeing poor results? SEO is a big part of any digital marketing strategy and it’s important to make sure you’re using white hat SEO tactics to avoid being penalized and keep your site safe. Read on to learn all about white hat SEO! White hat SEO is simply a set of search engine optimization techniques that Google approves. A white hat approach to SEO focuses on real people and not tricking the search engine algorithm to favor your site. It is a long-term strategy to help your website rank and your audience grow. What Are Some White Hat Practices? Some white hat SEO examples include speeding up your loading times, making your site simple to navigate, using keyword research and optimization for your content, and backlinking from quality websites. Whether you’ve got a basic website for your local business or an online sales funnel, when these tactics are applied correctly you won’t have any risk of getting hit with penalties by Google. Black hat SEO, on the other hand, uses algorithm hacks and shortcuts to exploit the weaknesses of the search engine algorithms. Black hat strategies try to trick the algorithms into “thinking” that your website has valuable content, rather than focusing on actual human readers. What Tactics Should I Avoid? 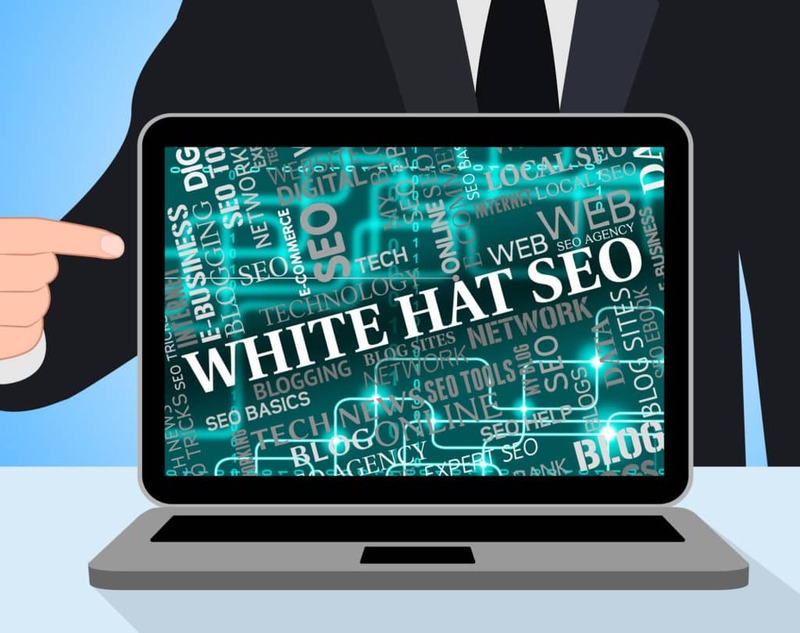 So now that you’re thinking about white hat vs black hat SEO, you might be wondering what tactics fall under the black hat category. Avoiding these is your SEO strategy will get you started on the right foot. When Google sees a website using SEO behavior that violates the user experience, it will change its algorithm to make these tactics obsolete. Three of Google’s notable algorithm updates include Google Florida which penalized websites for keyword stuffing, Google Panda which hit content farms, and Google Penguin which took down bad backlink strategies. In addition to changing its algorithm, as mentioned above Google will punish offending sites that are not using white hat SEO tactics. Usually the penalties come in the form of reduced traffic, fewer indexed web pages, or a reduced page rank. A reduced page rank undoes all of the hard, legitimate SEO work you’ve done and tanks your visibility, authority, and traffic source. Last, Google can ban your site altogether and exclude you from the search engine, cutting off your organic traffic supply. How Does Your SEO Measure Up? Now you’ve got some background on white hat SEO that you can use to make sure your SEO strategies follow search engine rules. Doing so will ensure your website ranks above your competitors and stays there! Feeling uncertain about your SEO strategy? Not sure where to start? Use our free SEO audit tool and see how our team can help you grow your business online! 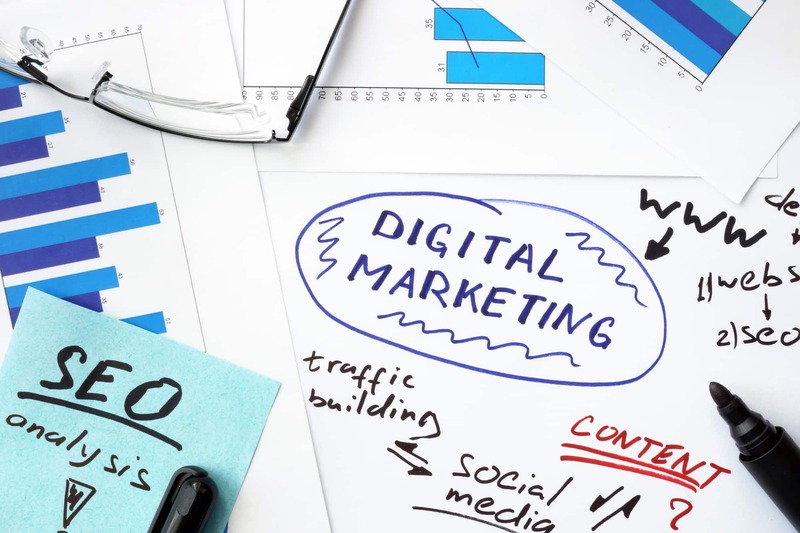 Why is SEO an Effective Digital Marketing Strategy?